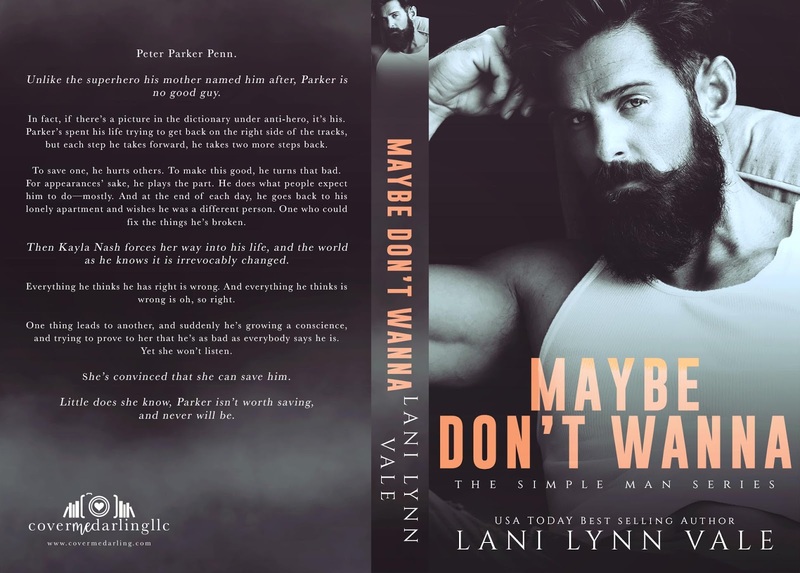 It’s not a secret that I love Lani Lynn Vale‘s books and this is especially true of this latest series!! 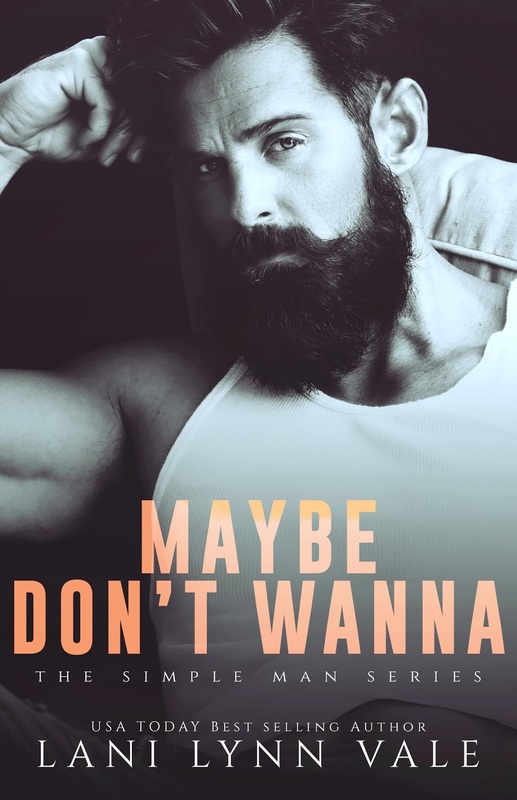 Maybe Don’t Wanna was a fab read and a great addition to The Simple Man series. I FLOVED Parker & Kayla. 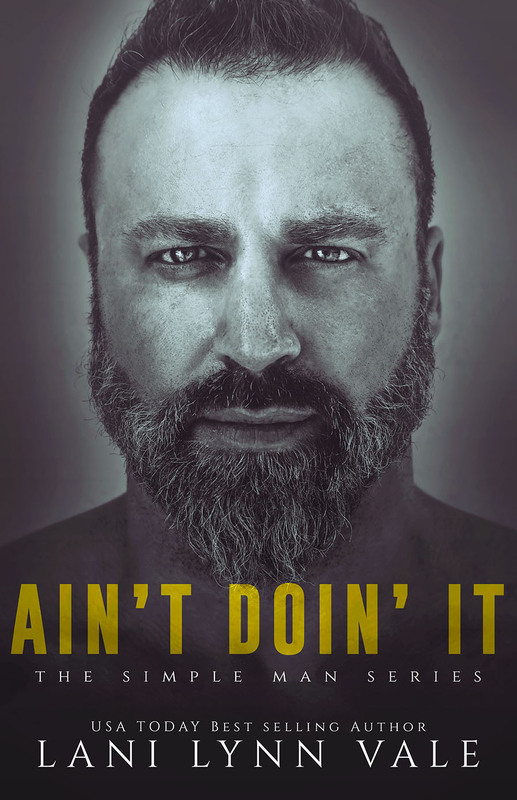 Parker hadn’t been the best of people growing up…. in with the wrong crowd, caught up in gang crime, he was on his way to a life in jail until he had a chance to turn his life around and that’s just what he did. He was his own worst critic and most others around him didn’t bother to find out more than what they thought they knew!! Kayla had no filter, talked a mile a minute and was forever asking questions but she also had a big heart, was loyal to a fault and saw who Parker really was!! Peter Parker Penn was actually a good guy and I’m glad that Kayla entered his life and opened his own eyes to just who he was! There was an interesting side story that kinda involved our couple but didn’t overwhelm their story. 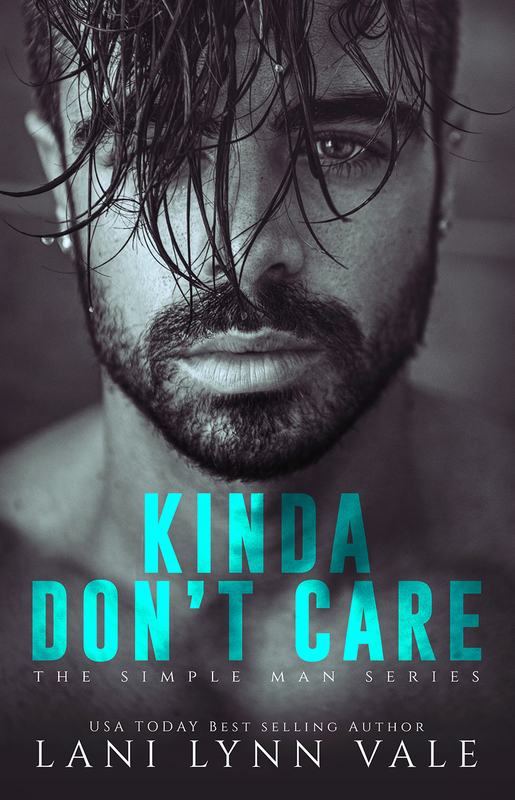 Kinda Don’t Wanna was slightly different from other reads of LLVs I thought in so much that, although we came across a few of our favourite characters while reading, the majority of the book was about PPP and Kayla and their evolving relationship. They were very similar in some ways and both brought out the best in the other. Their connection was intense, they were smoking hot together and their conversations had me laughing at points. 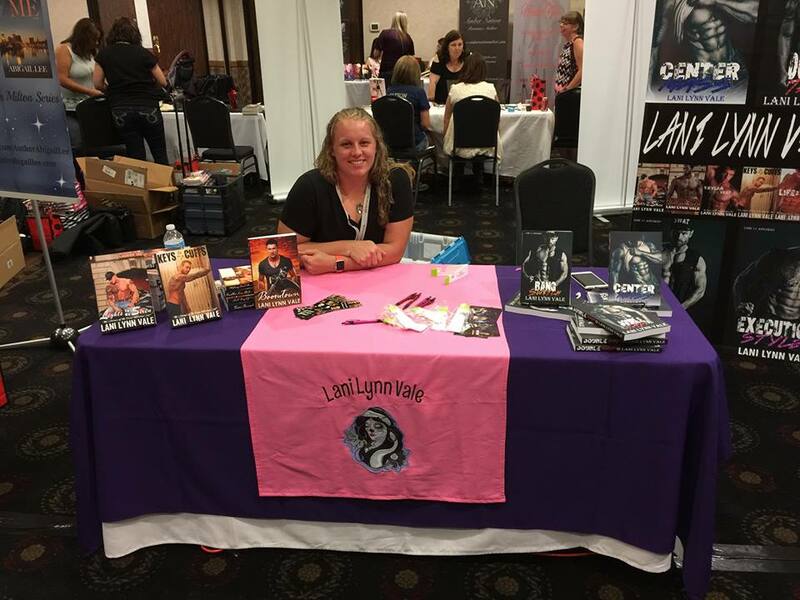 Along with a little suspense, a fabulous ex-service dog in Carmen and a great epilogue, KDW was an easy, entertaining and fun read – I hardly put my kindle down as I was hooked by this pair. Book 2 in this series gets a solid 4.5* rating from me!! Posted on 05/05/2018, in Authors & Books, Blitz, Blurb, Buy Links, Coming Soon, Favourites, More in the Series, Must Read, New Releases, Pre-order links, Recommended, Reviews, Teaser and tagged @EJBookPromos, @LaniLynnVale. Bookmark the permalink. Leave a comment.